Amidst the rapid pace of innovation in AI, the Bonsai Platform allows you to preserve existing investments and future proof your work. Using a feature we call Gears, you can integrate existing models and controllers into Bonsai's runtime, extending the functionality for programming intelligent control systems. 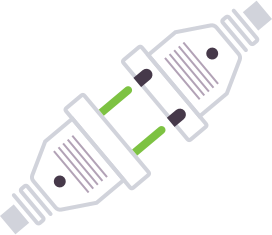 Gears enables a wide range of toolkits including TensorFlow and Python based models. Programming intelligence at a higher level of abstraction enables code and model reuse. Libraries and shared models can be leveraged across development teams, enabling faster problem solving and more powerful outcomes. 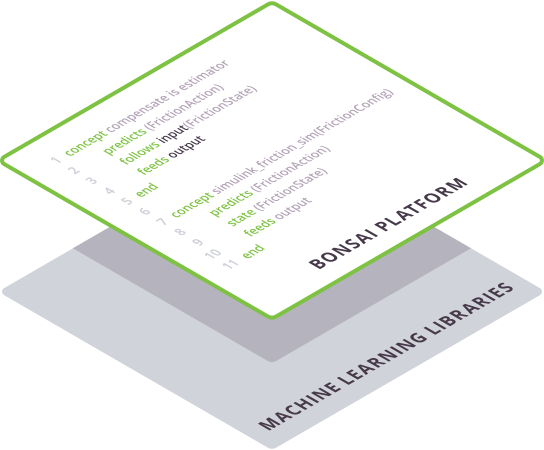 Users of Bonsai’s Platform automatically benefit from the latest AI algorithms and toolkits without ever having to rewrite code. 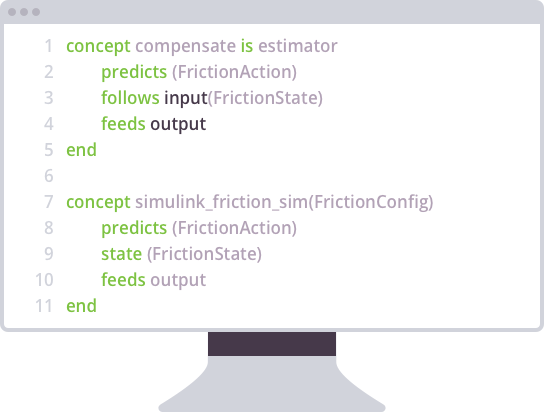 As machine learning and deep learning algorithms evolve, your Inkling code can be recompiled and retrained to take advantage of low-level technology advances.